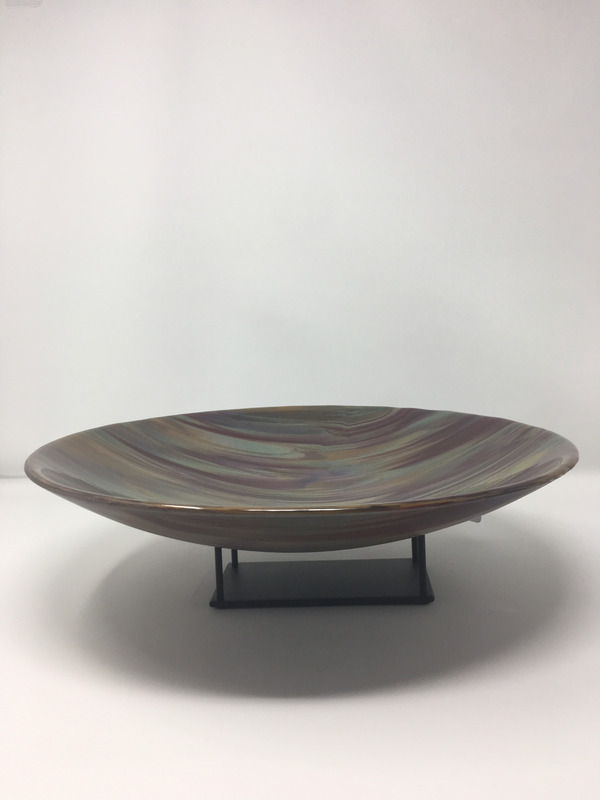 This beautiful bowl is about 15” in diameter and will make a lovely centerpiece on your table. It displays an assortment of colors including purple and gold and will also show well in an upright stand. As you can see in the pictures, different lighting displays the colors in this bowl dramatically. It is sure to be a conversation piece.